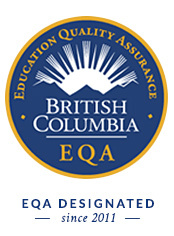 British Columbia’s Education Quality Assurance (EQA) designation is Canada’s first and only provincial brand of quality for post-secondary education. An EQA designation is an indication that a post-secondary institution meets or exceeds the provincial government’s quality education standards. The Blanche Macdonald Centre’s EQA designation is recognized globally as a symbol of quality education and consumer protection.